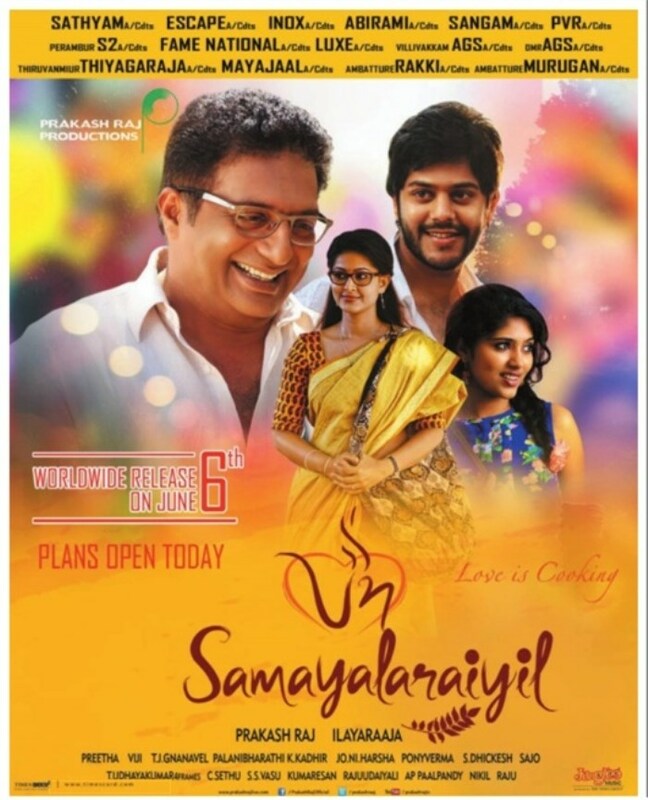 Actor Prakash Raj, Actress Sneha starring Un Samayal Arayil Movie Release Posters. Directed and Produced by Prakash Raj under Duet Movies. Music scored by Ilaiyaraja. SPB, Urvashi, Samyukta Hornad, Tejus, Poorna, Thambi Ramaiah, Elango Kumaravel in other cast.